New Delhi : Aam Aadmi Party member Bhagwant Mann was suspended from Parliament for the remainder Winter Session after he was held guilty by a parliamentary panel of putting the security of Parliament House at risk. The House approved a motion put by Kirit Somaiya, who headed the 9-member committee probing the videography issue, after it tabled the report yesterday. 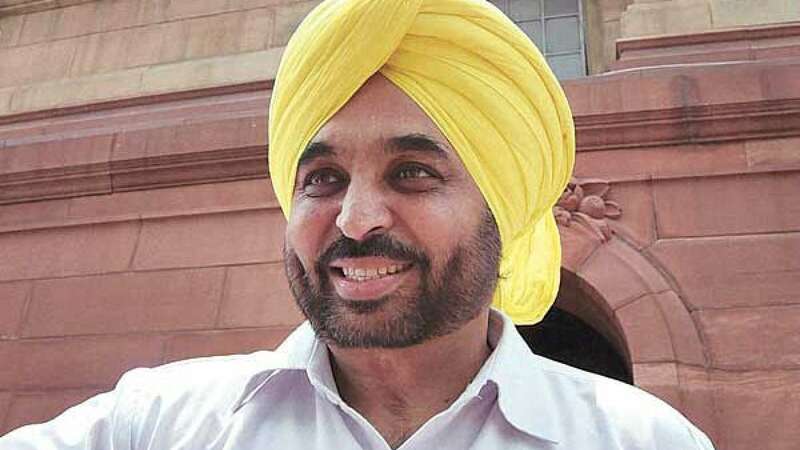 "That the House having taken note of the report of the committee to inquire into the improper conduct of a member of the Lok Sabha accepts the findings and recommendations of the committee that Bhagwant Mann has committed a highly objectionable act which is unbecoming of a member of the House and that he may be suspended from the membership of the House for the remaining period of the current session...," the motion read. The current winter session will be concluded on December 16.